All refrigerators need to be defrosted every few hours. Older refrigerators used a simple, inexpensive, and very reliable mechanical timer. 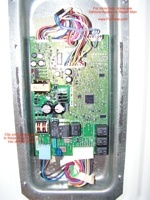 In many models made today, the defrost cycle, temperature control, and other hoo-hahs are all handled by an over-priced and highly failure-prone electronic circuit board. GE calls theirs a motherboard. I call it a muthaboard. Sometimes mutha-something else. On GE Profile and Arctica refrigerators, the muthaboard is located on the back of the refrigerator, behind the metal panel. 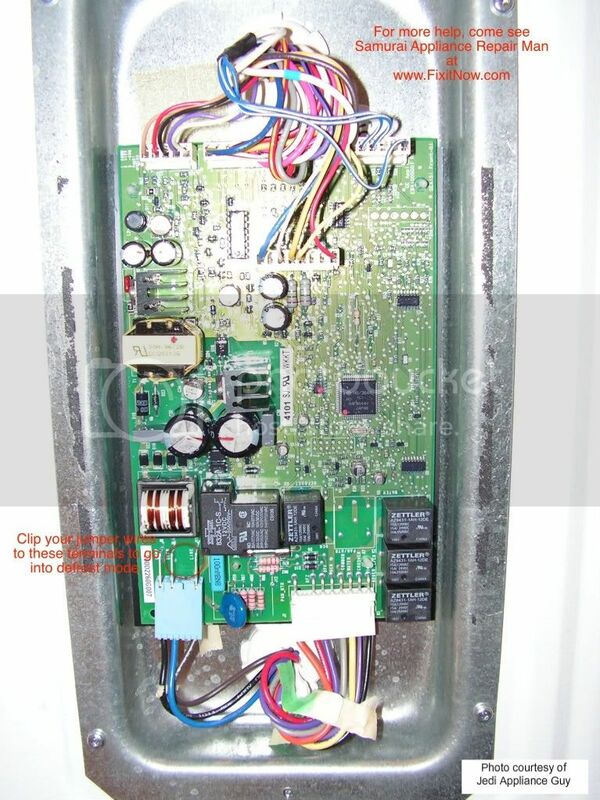 Remove the panel and you’ll see the board, shown here (click pic for larger view). To put the refrigerator into defrost mode, use a jumper wire with alligator clips (you can buy a bag of ’em at Radio Shack for a buck two-eighty) to jumper the two terminals shown here in this pic. 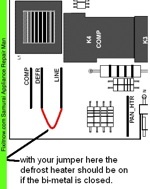 OTOH, if you are getting voltage at the defrost heater but no heat, then replace the defrost heaters. You’ll need to order the set based on your model number, which you can do ratcheer. 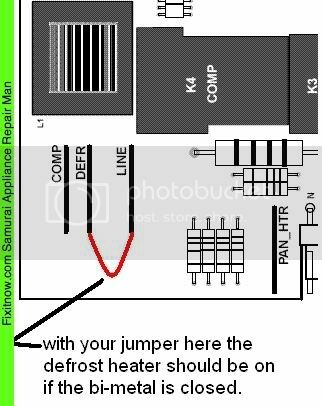 This entry was posted in Refrigerator Repair on November 4, 2008 by Samurai Appliance Repair Man.